The author, journalist, and attorney on how she deals with technology. Jill Filipovic: Everyone says “meditate,” don’t they? I do not do that; some alternate-universe better version of myself meditates first thing in the morning but I have not once in my life managed to make that happen. Instead, I stumble into the bathroom and brush my teeth because I can’t focus on anything if my mouth feels like warm garbage, and then I either make coffee or whine at my fiancé to please make me coffee. The only reason I’m not saying “check my email” is because I do that in bed, not immediately after getting out of it. JF: Coffee, a regular yoga practice, spending time around dynamic, fascinating people, and getting to travel and work in new and interesting places. JF: Dress for the job you want. I want to be a successful freelance writer, so I don’t wear real pants very often, which saves a lot of money on pants. Also, coconut oil. Cook with it, rub it all over your body, use it in place of conditioner. It’s a real one-stop life needs shop. JF: Even Cowgirls Get the Blues by Tom Robbins. Joyful, marginally insane, creative, and full of weirdo female characters. I had never read anything like it, and I fell in love — with the book, and with the fantasy of being a female outlaw. JF: We are codependent. It sleeps next to me, which is bad, I know. But I am trying to establish healthy boundaries by leaving it in my bag during dinners with friends and loved ones, so I can focus on them and enjoy the food. At home, unless one of us is on deadline, my partner and I have a “no phones at the table” rule. It’s actually really easy because we like talking to each other. JF: Poorly and sporadically. Sorry to everyone reading this who I haven’t emailed back. As of this writing, gmail tells me I have 345,618 unread emails. But I have a very sophisticated starring system to flag the emails I want to respond to, and I have like a 50% success rate. JF: Read advice columns. It’s my guiltiest pleasure (or at least the guiltiest pleasure I don’t eat or drink). I really enjoy reading about other peoples’ problems, especially when they’re exceptionally ridiculous and I can feel superior to the question-asker, but also when they’re real and challenging and I can either admire or feel appalled by the wisdom of the advice columnist. My favorites as Dear Prudence, Ask Amy, Ask Polly, Social Qs and Judge John Hodgeman (and I dearly miss Dear Sugar and the Ask A Dude / Ask A Lady series at The Awl). JF: Today. I’m just wrapping up a book tour, which has been awesome and exhilarating, but also very exhausting for someone who is a bit introverted and finds public speaking nerve-wracking and depleting. I need a nap. JF: Forget your perfect offering. 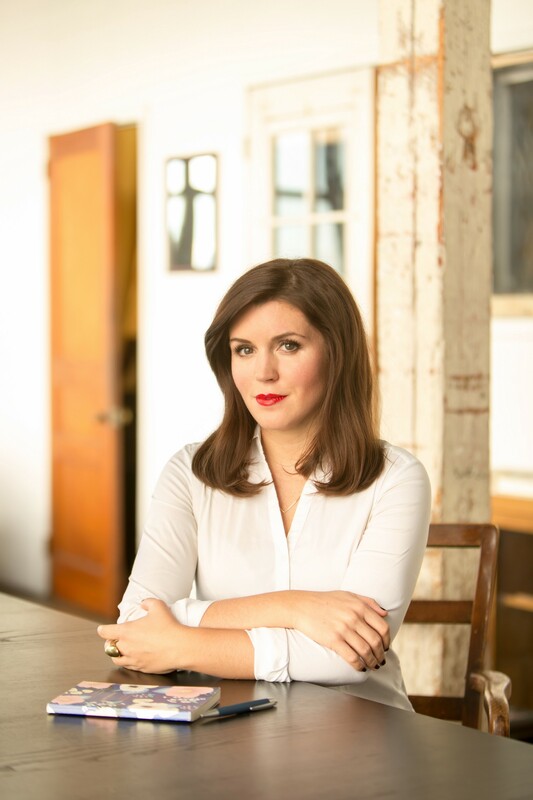 Jill Filipovic is a journalist based in New York City and Nairobi. She is a contributing opinion writer for the New York Times, a regular columnist for Cosmopolitan, and a blogger for Feministe. She has appeared in the Washington Post, Time Magazine, and the Nation, among others. Her new book, The H-Spot, released on May 2, 2017.
by Tanya Zuckerbrot M.S., R.D.